It is in nature that everything that has a beginning, has an ending. In life, it is given for a person to be born, to grow up, to grow old and to die. It is also given in nature that whatsoever is one sows he reaps in multiple folds. It is upon these faithful realities and divine ordinations that this informed report is the view of the witness that was on ground at the event. Bukola Saraki’s defection took over news headline for the whole of last 2 weeks but as we read, Senator Godswill Akpabio’s defection has overwhelmed and overshadowed that of his senate president, making Saraki’s a child’s play. One senator causing a more serious political earthquake than 14 senators. There is a consequence for this mother of all defections in the history of Nigerian politics. Senator Godswill Obot Akpabio, erstwhile governor of Akwa Ibom, and until 4 August 2018, the minority leader of Nigeria’s 8th Senate, was hosted by the national Secretariat of the All Progressive Congress (APC) in conjunction with the Akwa Ibom State secretariat of the party and the subsidiary in Akwa Ibom North West senatorial district, to his reception into the APC to finally actualize his defection from the Peoples Democratic Party (PDP) to the ruling party, the APC. It was indeed a gathering of note and he (Akpabio demonstrated his acting skills by appealing to popular belief through his deceptive dispositions at the event). Those who have eyes saw, and those with ears heard. At the Ikot Ekpene township stadium where the defection of Senator Godswill Akpabio was finally sealed and his reception into the APC accomplished, of good note and report was the protocol ordering of the arrival of dignitaries to the occasion. First on arrivals was Senator Godswill Akpabio with the array of his senator-colleagues, which included among others, the senate leader, Ahmed Lawan, Abdullahi Adamu, Ibrahim Gobir, Gbenga Ashafa, Magnus Abe, Andrew Uchendu, and about 8 others with them, who were joined by the South South leadership of the APC. These set of arrival came in two Toyota Civilian buses. They were at the venue for about 2hrs awaiting the arrival of the National Chairman and his delegation. It was interesting to watch the excitement that overcame Senator Akpabio, the Grand Defector of the Federal Republic (GDFR), as he hopped around with his white elephant tusk in hands waving aimlessly at the crowd which was in a determined frenzy, joining the celebrant in dancing also to sounds of traditional music. The National Chairman, who arrived in the company of the Secretary to Government of the Federation (SGF), Boss Mustapha, the Minister of Information, Lai Mohammed, the MD NDDC, Nsima Ekere and a host of others dignitaries with them. A few minutes after this arrival, the occasion began at about 2pm. 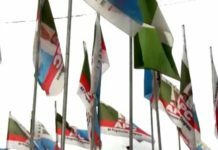 It was while the program was on that the National leader of the party, Asiwaju Bola Ahmed Tinubu arrived, in the company of the Presidential Adviser on Senate Matters, Ita Solomon Enang and the leader of the opposition struggle that materialized into the APC in Akwa Ibom State, Senator John James Akpan Udoedehe. The Asiwaju was chauffeured, joining Senator Udoedehe in his Toyota Land Cruiser jeep, to the venue of the event. At the time of the arrival of the Asiwaju, the momentum of the occasion had reached its crescendo and Senator Akpabio was a “make belief” sight to watch. 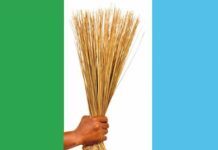 It was interesting to see him give his wife 3 straight pecks on her lips before the about 15,000 party loyalists who gathered at the Ikot Ekpene township stadium to either join him in his defection or to receive him into his newly found political bride, the APC. Before the commencement of activities at the occasion, Senator Akpabio was observed calling the attention of some senators, particularly the senate leader, Ahmed Lawan, to the Four Points hotel, located adjacent and of imposing sight, to the venue of the event, which his administration built a few years back but which has clearly been abandoned by the Udom Emmanuel’s administration. Instinctively, it can be deduced that he was pointing to one of the reality-reasons for which he was defecting from the PDP. Nevertheless, there is more to this that feeds vulnerable eyes. However, to many who know the political antecedence of Senator Akpabio, whatsoever was the reason for his defection, he was only parading Governor Udom Emmanuel as his scapegoat. These people believe that only 2 reasons could have informed his (Akpabio’a) defection: his case with the EFCC or his disappointment at Bukola Saraki emerging the national leader of the PDP (which is seen and believed to be the most likely reason for his defection from the main opposition party). It is believed that the majority of his followers in Akwa Ibom State would gladly concede to, and aligned with his scapegoating of Udom Emmanuel than selling his political frustration to his followers. Of truth, Udom Emmanuel does not believe thar “what money cannot do, more money can do”. The incumbent governor does believe that what money cannot do, it no use to expend more money on it. 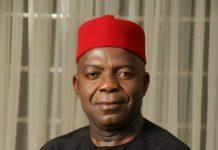 It is also believed that whatsoever were the sins of Governor Emmanuel, Senator Akpabio could have handled it maturely with his successor than let them warrant his defecting from the party: a party which he politically rebranded after his political philosophy, “Akpabioism”, in Akwa Ibom State. It is believed that there is more to his defection than it has to do with Governor Emmanuel’s handling of the Uyo-Ikot road dualization and the completion of the Four Points hotel. It is noteworthy that Senator Akpabio should understand how it is possible for Governor Emmanuel to actualize his (Akpabio’s) expectations for his senatorial district during his (Governor Emmanuel’s) second term in office. Nevertheless, Akpabio’s advances in and achievements for the PDP nationally makes his defection from the PDP very worrisome. 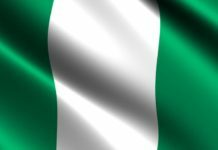 It is wondered how Olusegun Obasanjo, Ibrahim Babangida and Goodluck Jonathan will receive the news of his defection, and how he would be rated politically from now onward. There are consequences for Senator Akpabio’s actions. 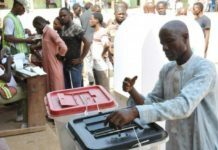 Interestingly, two things were observed that clearly signified the direction to which senator Akpabio will be led, or allowed to chart in the APC. First indicator was that when Asiwaju Bola Tinubu was received by his political associate in Akwa Ibom State, Senator Udoedehe, with whom he rode to the venue of the venue of the occasion: as the Asiwaju descended from his private jet, he locked in embrace with Senator Udoedehe, and patted him on his back 3 times, signifying “do not worry yourself, everything will be fine”. Those who watched them followed the indication until the reason was deduced. No one knew what both men discussed while on their way together to the venue of the event. 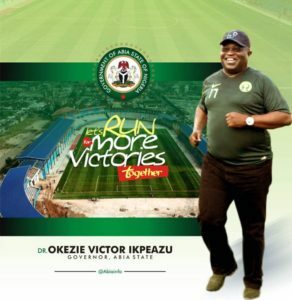 It should be clear to ordinary minds that those who follow political leaders understand their every body movement: as Senator Akpabio was dancing, several political elites, who were privileged to be in the state box came to pay compliments to their “Ononkpo inam” (success-personified), one man, who was permitted by his aide went through, almost getting to Senator Akpabio, but suddenly, those who watched the man passed by later descended on the man, kicking, shoving and pushing him away from the senator. Senator Akpabio had clandestinely indicated his disapproval to his aides, and they did what they knew best. In political circles, leaders talk to their aides through body language. The Asiwaju’s pat on Udoedehe’s back was the message he passed onto Udoedehe’s followers that all is well in and for Akwa Ibom State. It was when the national chairman pronounced Senator Akpabio as the APC leader in Akwa Ibom State that many realized what Tinubu’s pat on the back of Senator Udoedehe indicated, because the matter should first be discussed by the Akwa Ibom caucus of the APC. 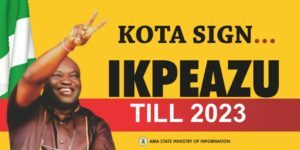 This reality had already dawned on the followers of Senator Udoedehe because it was a matter of the party’s constitution that in the state where the incumbent governor is not a member of the party, then a former governor who is s member of the party assumes the party leadership in the state. That Senator Akpabio was made the APC caucus leader in Akwa Ibom State puts a lie to the story been peddled that Obong Victor Attah, the first governor of the state in the 4th Republic is a member of the APC, because if he was, Akpabio would not have ascended over others who fought and were spent to sustain the opposition struggle in the State. Obong Victor Attah has chosen to sit on the fence in matters that concerns the welfare and interest of the Akwa Ibom people. He has a huge pension for life as a former governor, so for him, the people can go to hell. 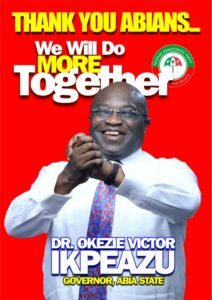 He created the space that allowed Senator Akpabio reap from where he did not sow. But because nature permits no vacuum, it is certain that Senator Akpabio will definitely sow a replacement for his present political reaping in the APC. Pray it would not be a whirlwind. Another indicator of what will come Senator Akpabio’s way, on his path with the APC was sounded loud by the national chairman of the party, Comrade Adams Oshiomhole. He said “the PDP has stolen Akwa Ibom State dry for 16 years…and we are going to recover all they have stolen”. When the Comrade-Chairman talks, anyone can take his words to be bank for safekeeping. He will do what he has sworn to do. How would the APC investigate and prosecute the “.. 16 years…” of the waste in Akwa Ibom State without Senator Akpabio been neck deep in the probe? We are awaiting the inauguration of the next governor of the State, and if the APC wins, we know that this “prophetic” pronouncement by the national chairman will come to pass. It said that those who laugh last, laugh best but it calls to wonder what happens to those who laugh first. For now, Senator Godswill Akpabio is laughing first and if what happens is that people who laugh first, cry last, then it is certain that at the end of all that is beginning with Senator Godswill Akpabio, in dancing and merriment may end in disgrace, cries and imprisonment. Let nobody jubilate yet, the victory is still ahead, and it is not Senator Akpabio that has won, it is the Akwa Ibom people that will win ultimately. 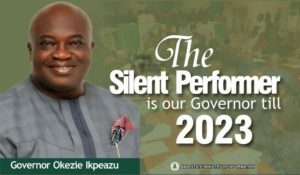 For the records: when Jesus Christ entered into the relational exposition of the Old Testament scriptures with the New, he iterated that “you have heard it said of old…but I now say unto you…” In that line, let it be known today that what is known of Senator Akpabio of old will be known differently from now onward, except if the APC is not a “NEW” political party he has just joined. Both the Asiwaju and the Comrade Chairman have sworn to eliminate every tint of the PDP in the APC. 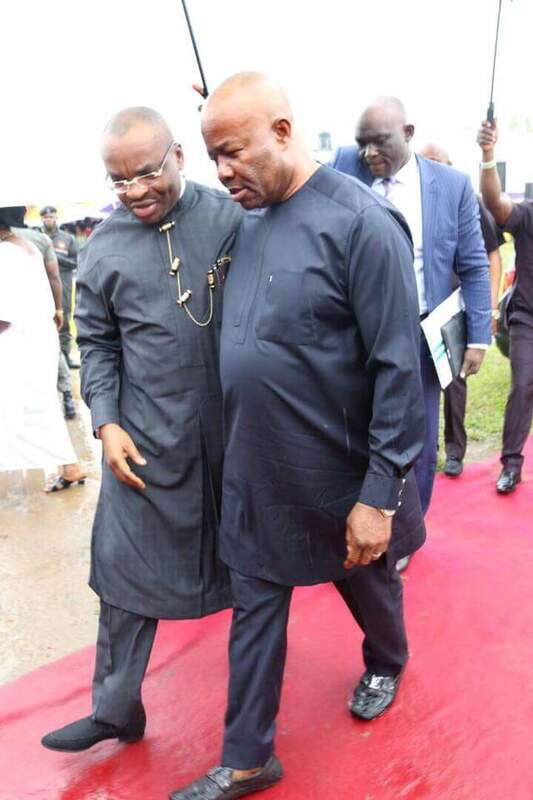 Senator Akpabio possesses a sickle gene of the PDP, and now that he is in the APC, it is expected that he will be admitted to the intensive care unit of the APC clinic for a surgery to exorcise the PDP demon in him, as he was their very stubborn Chief Priest. By the design of the almighty God, there is appointed a time to sow and a time to reap; a time to laugh and a time to cry. Now that Senator Akpabio is laughing, it is noted, but it is certain that the time will come when he will cry. Yes! He will surely cry in the APC. The PDP remnants had “cut Tinubu to size” in the APC and he will never forget his wounds. The pat on the back of Senator Udoedehe and the pronouncement of the redemption of the Akwa Ibom people, are what many loyal supporters of the APC took home. The “body language” of the Asiwaju and the words of comfort from the mouth of the national chairman, especially for those who fought, and some died in the hands of Godswill Akpabio, to sustain the oppositions struggles in the state were reassuring that Senator Akpabio will not eat his cake and have it. Politics in Nigeria is all about permanent interest because here, as it is said, “there are no permanent friends, nor enemies”. Politicians can back stab one another, and turn to return a smile to whom they have stabbed. There is a sure recompense for Senator Akpabio’s backstabbing of his colleagues in the PDP. He may laugh but his laughter can never be the best there is in this drama: it came first. Let us all watch as things unfold from now on. I must not forget that during this occasion, it was the Asiwaju who came tops on the protocol list. His name came first, before that of the national chairman, before that of Boss Mustapha who represented the Acting President. 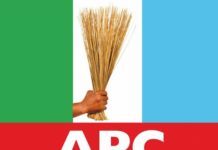 The event was not the affairs of the federal government: it was a political party affair, and as far as the APC is concerned, Asiwaju Bola Ahmed Tinubu is the SPIRIT BEING OF THE APC, others are mere mortals; yet he holds no office in the party.